LCD monitors are revolutioning the computer industry. 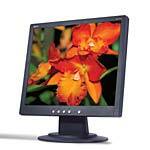 In fact, in the age of the miniaturized screen, the compact, ultra-slim LCD monitors are almost an industry standard. 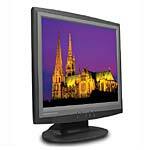 If you need style, portability and spectacular image quality, you’ll get it all with an LCD monitor. Most have an attractive, thin-bezel design which captures the imagination of everyone who values style and substance. Nearly everyone is abandoning their CRT monitors. 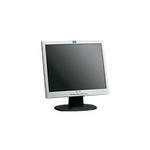 The AL1714cb 17" LCD display is for those who desire a monitor that is both easy on the eyes and on the budget. The monitor adheres to high safety standards to keep you comfortable and productive. 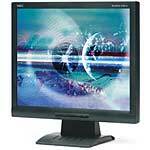 The LCD1700 from Princeton Graphics is an attractive monitor with great features and performance. It's ideal for home, small business or corporate use, and its small frame makes it a great choice for multiple-monitor applications. The 17-inch NEC AccuSync LCD72V is a stylish, thin-framed flat-panel monitor that allows you to enhance your desktop with the latest in LCD display technology without paying an exorbitant price. Not only does the 24" Samsung SyncMaster 243T have dual inputs and a sleek, ergonomic design, but it also has a myriad of the most desirable monitor features. 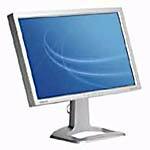 The HP Flat Panel Monitor L1702 is a competitively priced, business-ready 17-inch flat panel monitor that is ideal CRT replacement for large corporate customers, growing businesses, and the government sector. Impress your business clients with brilliant presentations during the workday. Impress your friends with larger-than-life images in the evening. 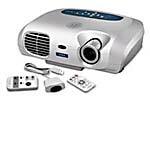 The InFocus X2 DLP Projector can do it all. 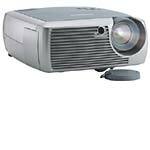 Weighing 6.8 pounds, the NEC VT47 LCD projector features 1500 ANSI lumens brightness, a 400:1 contrast ratio and SVGA 800 x 600 native resolution with support for UXGA 1600 x 1200 and Advanced AccuBlend. 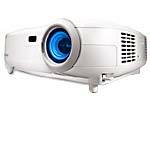 With 1400 ANSI lumens, three 0.5" Epson LCDs, and a 500:1 contrast ratio, the Epson PowerLite S1+ LCD projector offers remarkable image quality, even in well-lit rooms.